On January 19, 2018 at 2:08 P.M., an unknown male used a stolen debit card to withdraw money at a bank in Rocanville, SK. 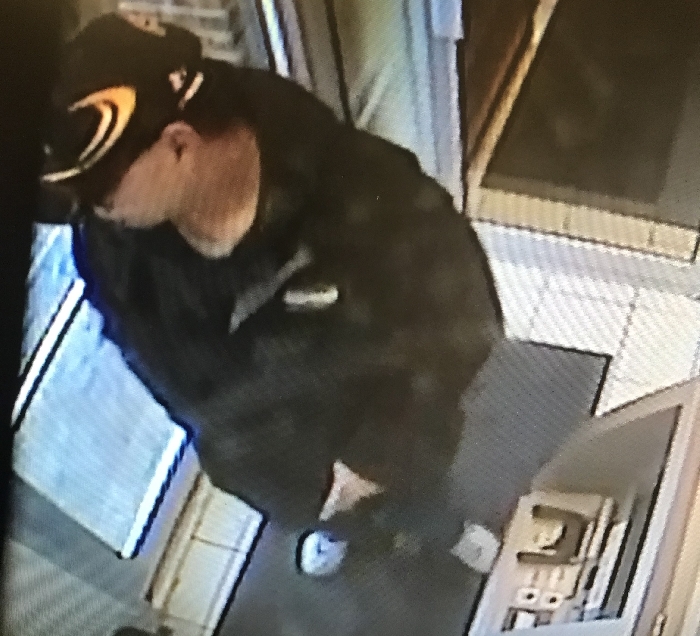 The Moosomin RCMP are asking the public's assistance in identifying the male in the photograph. If you have information regarding this or any other crime, please contact the Moosomin RCMP detachment at 306-435-3361 or if you have information and you wish to remain anonymous in your reporting, please contact Crime Stoppers at 1-800-222-TIPS (8477), submit a tip via their website: http://saskcrimestoppers.com/ or text in a tip: TIP206 + your tip to CRIMES (274637).